1. Consumer Guarantees which are part of the Australia Consumer Law (ACL) applies. 2. These terms and conditions are applicable to you upon you receiving any correspondence via email or fax, placing an order and/or receiving an invoice. 4. The goods invoiced remain the property of Kulture until paid for in full. occur due to recovering your debt with Kulture. *your quantities listed are correct and the artwork is correct, being either sent by you, artwork produced by Kulture or artwork submitted by Kulture sent to you. 7. 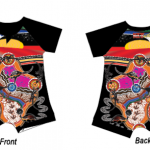 Sublimation Garments only: In the result, your design requested or submitted, is very detailed and involves the design having to line up across panels and seams, you take the risk of the design missing parts of the design due to the sewing of the panels and seams. In this instance, Kulture will not take responsibility for the finished garment/s looking different to the artwork visual presentation if the design involves having to line up across panels and seams. 8. You may cancel your order at any time; however any ordering of goods and decoration prints etc produced must be paid for in full. Any deposits or payments made cannot be refunded if you simply change your mind. Express Post Satchel outlined on their invoice and wish to use regular post with registered post will need to advise Kulture. 10. Upon receiving goods, it is your responsibility to check them for any errors and that the correct amount has been received. Any problems must be reported within 7 days of dispatch. You will be required to complete a Return Authorisation form along with your return of the newly un-used products, you other printable products will only be re-issued free of charge if the issue was a direct result of Kulture. 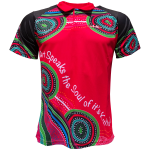 No responsibility will be taken for any errors in the finished decorated garment after customer has signed off and approved. 11. By submitting your artwork (sketch, rough, drawing, digital form) you acknowledge that you are the copyright holder or you have permission to use the artwork. Any copyright infringement is the customers’ sole responsibility and you will be held fully accountable for any criminal charges laid. Kulture to recreate into digital format does not mean you are the copyright holder of the design or logo recreated. However, if you submit artwork/design/logo/sketch/painting/digital file that holds copyright, the re-creation of the design into a digital format by Kulture will classify the new re-created design as Joint ownership. You are able to obtain this digital file at cost. The fee will be determined based on each individual digital artwork recreated. Please contact Kulture if you wish to receive quote on digital format being supplied. 12. You will acknowledge that paying for the artwork set-up fee or design recreation fee on invoice, you are paying for the services for Kulture to recreate your design into a digital Kulture agree on supplying the digital format to you the customer, a fee will be charged for this service. 13. You will also acknowledge that Pricilla Go Sam & Albert Bosen t/as Kulture uses their own intellectuality to create designs for customers where the customer has not submitted any or very little artwork, and in such a case, Pricilla Go Sam & Albert Bosen t/as Kulture is the copyright holder of the digital formatted design. Copyright is owned by Kulture unless specified otherwise on visual presentation page/s of Artwork Approval. Legal action will be sought if any designs created by Pricilla Go Sam & Albert Bosen t/as Kulture is used for any other purpose other than the production of banners, signs, posters, apparel or other printable products manufactured by Kulture, unless written permission is sought from Pricilla Go Sam t/as Kulture. 14. Kulture will not take any responsibility for any copyright infringements or legal issues relating to copyright or intellectual property that is being investigated or dealt with by a legal representative, due to another person, company, business or third party relating to seeing your design/logo or artwork on any apparel, signs, banners, flyers, Kulture website, emails etc manufactured or supplied by Kulture. The customer is responsible to ensure the protection and the copyright of their own design/logo or artwork. 15. Kulture has the right to display any uniforms they have manufactured for you for marketing purposes, such as Internet Website, posters, flyers, letters, email etc. However, if you wish NOT to have your design &/or manufactured apparel, signs and banners displayed in any of the marketing material, it is the customer’s responsibility to obtain a form from Kulture and complete in detail and send back before production is started. 16. Kulture will not take any responsibility for any copyright infringements on Artwork (design, logo, painting) that has been impinged on by a third party, through the artwork being seen on any of the following: apparel, banners, flags or signs. This is a risk that the copyright holder is taking by having the artwork (design, logo, painting) displayed on apparel, banners, flags or signs. 17. 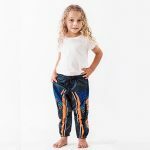 Production of garments will not be started until signed artwork approval form has been signed in the requested place and also a signature on the terms and conditions of sale page, indicating reading and acknowledging you have read and understood the Terms & Conditions of sale. 18. 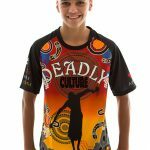 SUBLIMATION GARMENTS ONLY: Turn-around time is 4-6 weeks for sublimated apparel after artwork approval has been signed off on and received by Kulture. Production of your order will not be started without a fully signed Artwork Approval form received by Kulture.